For those of you who don’t know us already, we produce a satirical online news show where everything is delivered in rap and rhyme in a head-bopping blend of political analysis and irreverent comedy. We’ve been broadcasting our bulletins via thejuicemedia youtube channel since 2009, so we’ve been doing this now for about 6 years. During that time, we’ve produced over 35 episodes of the show, earning over 14 millions views and 100,000 subscribers spanning right across the world. 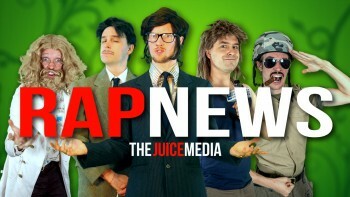 Juice Rap News owes its existence to the Internet. It was inspired by a need to document and critically engage with some of the most defining events of our time in a deeper way than what we see in the nightly news. We wondered: what would it be like if the Evening News could provide a more radical and historically-grounded analysis of world event and issues? What if it addressed the deeper questions of our human condition – ‘The Juice’, as we call it – rather than the same old usual disconnected stuff? Rap and music are of course two highly effective channels for delivering information in an engaging way. So the show came about by combining these three key elements – News, Rap and ‘Juice’. Juice Rap News. Although we’ve come a long way since we started out with our very first video in 2009, the project is still very much a home-based DIY project. Our whole set up is in a suburban house in Melbourne; the home of the recording studio, the green screen and the prop shed, which we raid every time we need to assemble a new character. 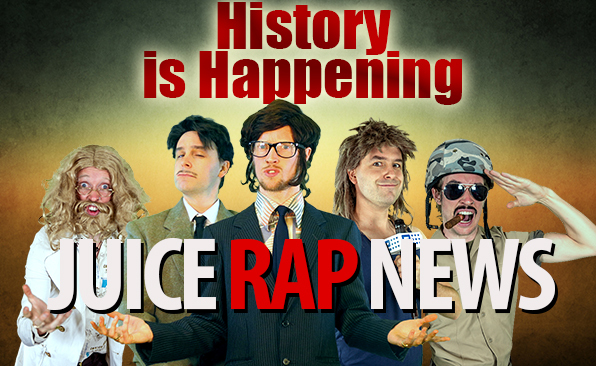 Juice Rap News started out as a sort of garage-band project and it has remained true to its roots to this day. We feel absolutely blessed to have garnered an amazingly diverse and dedicated audience, and to have played a part in raising consciousness about some of the most pressing issues of our times. And we could not have done it without the help of the Kindle Project. We’ve been partners in crhyme with the brilliant Kindle Project for the past three years, and their support has been not only a source of financial stability but also a massive encouragement boost. Unfortunately, this update happens to comes at a time of transition for Juice Rap News. After 6 years of making the show, we decided that it was time to put the project on hold, indefinitely. We recently produced a video announcement to inform all our viewers out there and you can watch that video here. As you can probably imagine, it has been incredibly moving for us to read all this beautiful feedback. 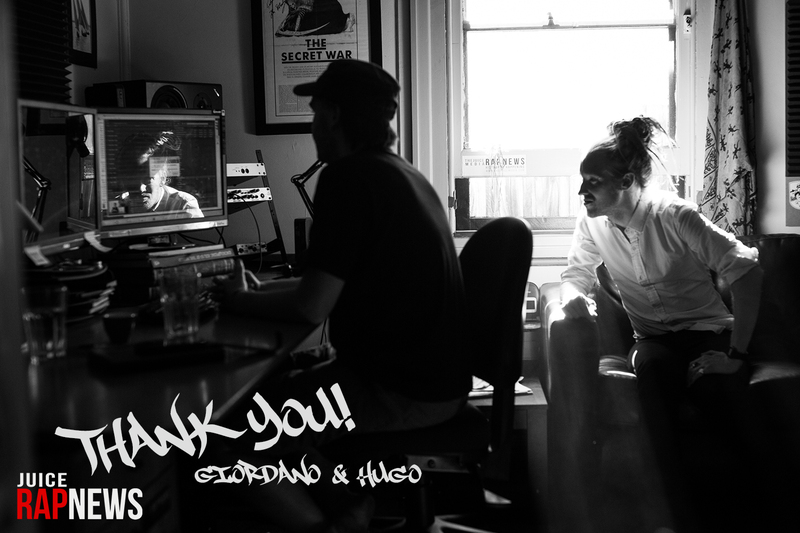 It has helped us realize just how much people out there have valued the work we did. And we want to share this sense of achievement with all those who have helped to make this show possible. We are grateful to everyone who supported us over the past 6 years; everyone who liked and shared our videos; to everyone who donated funds along the way; to all our translators from around the world who volunteered their time; and all the people who contributed their craft, skills, talents and time to Rap News over the years. And of course, we want to express a special thanks to the Kindle Project, which has supported us for three consecutive years. If we have been able to do some very valuable work, that is in great part thanks to you. And on behalf of our audience, we want to express our deepest and sincere thanks. We hope Kindle Project will continue to support and nurture many more important projects in the future. Heaven knows how much we need it. P.S. This is NOT the end of the Juice Media: after a bit of a hiatus, there will be some new content coming on the channel. The format will change, but when the time comes, you can be sure it’s going to have many of the qualities which people enjoyed about the content, satire and philosophies of Juice Rap News. Until then, we hope people will continue to enjoy our 35 episodes of Juice Rap News for years to come!